WASHINGTON (AP) — A congressional committee is giving the White House until Monday to voluntarily turn over documents related to White House security clearances. WASHINGTON (AP) — White House senior staff will be gathering over the weekend at the Camp David presidential compound for a "staff retreat" to discuss the administration's priorities for 2019. And White House Press Secretary Sarah Huckabee Sanders says President Trump will be joining them and leading meetings Sunday. The gathering comes as Mick Mulavney assumes his new role as acting chief of staff following John Kelly's departure earlier this week. Three confidants of President Donald Trump are indicating that the president's signature campaign pledge to build a wall along the U.S.-Mexico border won't be fulfilled as advertised. WASHINGTON (AP) — Three confidantes of President Donald Trump, including his departing chief of staff, are indicating that the president's signature campaign pledge to build a wall along the U.S.-Mexico border would not be fulfilled as advertised. WASHINGTON (AP) — President Donald Trump's band of "my generals" is disbanding. A political novice, Trump took office nearly two years ago gushing about the retired military leaders who had agreed to serve in his administration: retired four-star Marine Corps Gen. Jim Mattis as defense secretary, and John Kelly, another retired four-star Marine general, heading the Department of Homeland Security. In the White House, Trump installed retired Army Lt. Gen. Michael Flynn as national security adviser. "Mick has done an outstanding job while in the Administration," Trump tweeted Friday. "I look forward to working with him in this new capacity as we continue to MAKE AMERICA GREAT AGAIN!" Trump tweeted Friday that Mulvaney "has done an outstanding job" in his administration and would take over next year. Trump deemed Mulvaney his "acting chief of staff" but it was not immediately clear what that meant for the length of his tenure. NEW YORK (AP) — Jose Canseco (kan-SAY'-koh) is ready to take a swing at politics. The former major league slugger has made his pitch for a big job at the White House, tweeting Wednesday to President Donald Trump: "u need a bash brother for Chief if (sic) Staff." Canseco told his "little buddy" he has "a secret reorg plan already." He suggested Trump send him a direct message and signed off (hashtag)yeswecanseco. WASHINGTON (AP) — The White House says President Donald Trump has told Rep. Mark Meadows that he's needed in Congress and won't be Trump's next chief of staff. Press secretary Sarah Sanders says Trump spoke Wednesday with the North Carolina Republican. She says, "The President told him we need him in Congress so he can continue the great work he is doing there." President Donald Trump is scrambling to find a new chief after his first choice to replace John Kelly bailed at the last minute and several other potential successors signaled they weren't interested. THOUSAND OAKS, Calif. (AP) — Los Angeles Rams running back Malcolm Brown will miss the remainder of the season because of a collarbone injury. Coach Sean McVay said Wednesday that Brown is likely headed to injured reserve after sustaining the injury in the Rams' 30-16 win over Detroit on Sunday. Brown had a non-surgical procedure to reset his clavicle and will miss eight to 10 weeks, McVay said. ALBANY, N.Y. (AP) — Gov. Andrew Cuomo said he and President Donald Trump had a "productive" meeting Wednesday to discuss one of the Northeast's most pressing transportation needs: a new rail tunnel under the Hudson River. While Trump made no assurances about federal funding for the project, Cuomo said, the Republican president was receptive and said he wants to find a way forward. U.S. Transportation Secretary Elaine Chao and Trump Chief of Staff John Kelly also attending the lunch meeting. New York Gov. Andrew Cuomo says he had a "productive" meeting with President Donald Trump to discuss long-stalled proposals to build a new rail tunnel below the Hudson River. LOS ANGELES (AP) — Linebacker Matt Longacre is inactive for the Los Angeles Rams' showdown with the Kansas City Chiefs. Newcomer Dante Fowler started in Longacre's spot Monday night. Longacre had started the Rams' past seven games, and he wasn't listed on Los Angeles' injury reports during the week. Former Rams receiver Sammy Watkins is active for the Chiefs after missing last week's game with a foot injury. 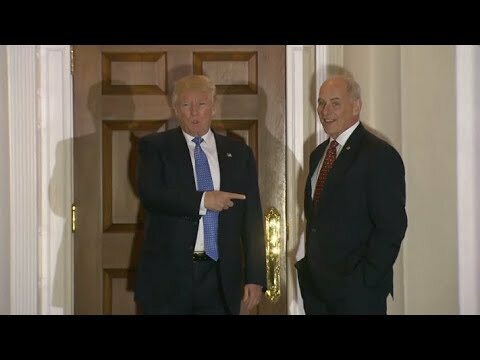 WASHINGTON (AP) — President Donald Trump isn't committing to a previous pledge to keep chief of staff John Kelly for the remainder of his term, part of widespread speculation about staffing changes that could soon sweep through his administration. Trump, in a wide-ranging interview that aired on "Fox News Sunday," praised Kelly's work ethic and much of what he brings to the position but added, "There are certain things that I don't like that he does." President Donald Trump isn't committing to a previous pledge to keep chief of staff John Kelly for the remainder of his term. It's part of the widespread speculation about staffing changes that could soon sweep through his administration. WASHINGTON (AP) — Nick Ayers could almost be confused for a college fraternity brother as he flashes a broad grin in a selfie taken with Mike Pence just moments after the Indiana governor was named Donald Trump's running mate. 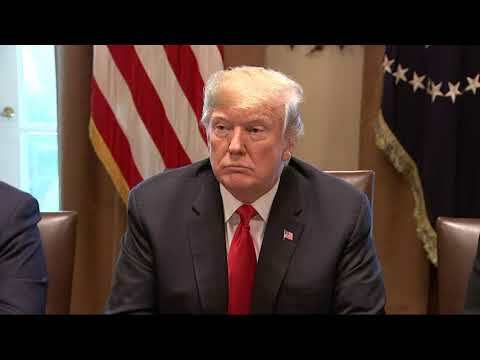 WASHINGTON (AP) — President Donald Trump is weighing an administration-wide shake-up as he looks to prepare his White House for divided government, but it is unclear who is going and who is staying. PROVIDENCE, R.I. (AP) — U.S. Sen. Jack Reed has criticized President Donald Trump's canceled visit to a World War I American military cemetery in France, saying it showed an "indifference if not disrespect" to service members. The Providence Journal reports that the Rhode Island Democrat made his comments Monday during a Veterans Day forum at Brown University. BILLINGS, Mont. (AP) — U.S. Interior Secretary Ryan Zinke declared Monday he's "100 percent confident" no wrongdoing will be found in pending ethics investigations that have stirred speculation he could get ousted from President Donald Trump's Cabinet. The former Montana congressman and Navy SEAL faces a number of probes by federal investigators, including one involving dealings between a foundation Zinke created and the chairman of an energy company. 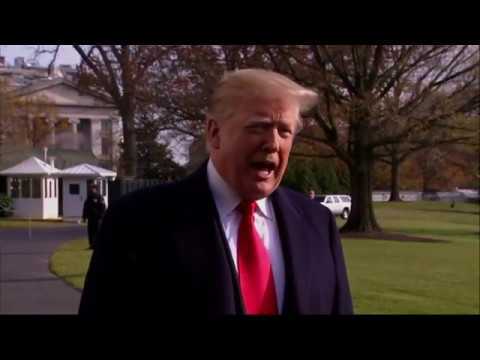 PARIS (AP) — President Donald Trump canceled a planned visit to a cemetery for Americans killed in World War I, the White House said, citing bad weather that grounded his helicopter. Trump had been scheduled to lay a wreath and observe a moment of silence Saturday at the Aisne-Marne American Cemetery and Memorial, located adjacent to Belleau Wood and about 60 miles (100 kilometers) northeast of Paris. President Donald Trump says at the United Nations that he'll be meeting with his embattled deputy attorney general Rod Rosenstein on Thursday. "Today," he says, "I'm doing other things." OAKLAND, Calif. (AP) — Los Angeles Rams linebacker Mark Barron is inactive for the season opener against the Oakland Raiders with an Achilles tendon injury. Ramik Wilson is expected to start in Barron's place Monday night. The other inactive players for the Rams are quarterback Brandon Allen, running backs Justin Davis and John Kelly, linebacker Trevon Young, and defensive tackles Sebastian Joseph-Day and Tanzel Smart. WASHINGTON (AP) — An incendiary tell-all book by a reporter who helped bring down President Richard Nixon set off a firestorm in the White House on Tuesday, with its descriptions of current and former aides calling President Donald Trump an "idiot" and a "liar," disparaging his judgment and claiming they plucked papers off his desk to prevent him from withdrawing from a pair of trade agreements. FORT LAUDERDALE, Fla. (AP) — President Donald Trump's chief of staff distorted the facts when he accused a "selfish" Florida Rep. Frederica Wilson of grandstanding at a building dedication in the memory of two slain FBI agents in 2015. WASHINGTON (AP) — As the death toll from the shooting in Las Vegas rapidly rose, White House officials urged President Donald Trump to show restraint in his response: No speculative tweets, please. No over-the-top bluster. President Donald Trump says he hadn't heard his acting homeland security secretary's much-criticized remark that the federal relief effort in Puerto Rico is a "good news story." But he points out that Elaine Duke is temporarily in the job, "and she's working very hard." Duke was named to temporarily replace John Kelly after Trump named him White House chief of staff. Trump has not nominated a permanent replacement. WASHINGTON (AP) — President Donald Trump may be trying for a reset in the West Wing, but he is making clear that he is not changing his twitter habit. On Twitter Tuesday, Trump said: "Only the Fake News Media and Trump enemies want me to stop using Social Media (110 million people). Only way for me to get the truth out!"